Take the kitchen prep and meal planning out of Christmas Eve and Christmas Day dinner with these fine dining options. From delectable buffet options to multiple course meals prepared by the best chefs in North County, you’ve got plenty to choose from for people of all diets including vegan and gluten-free options. 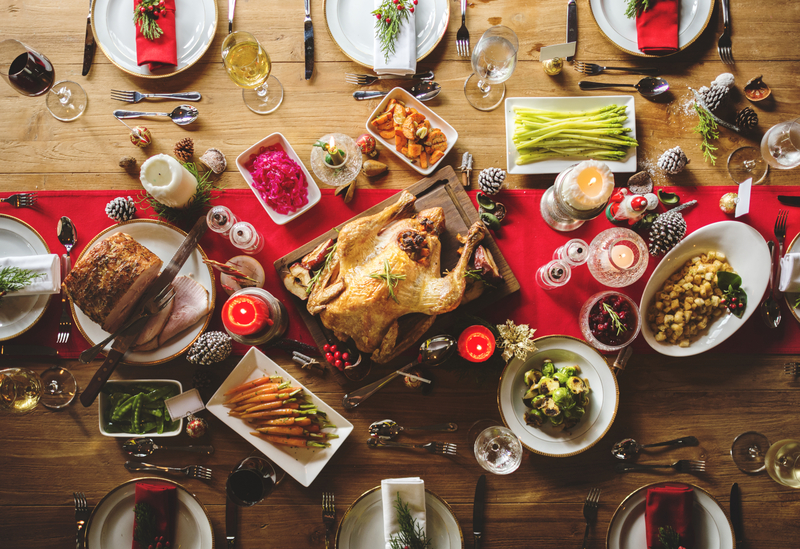 Use the filters to find the perfect holiday dinner venue. Take a trip to Italy this Christmas Eve with Amaya’s Italian fine dining. Amaya will prepare a seasonal three-course menu with dishes like their mushroom bisque, roasted duck, and chocolate peppermint torte. Amaya will prepare a three-course holiday feast with options like their west coast oysters, 10 oz. prime strip loin, and affogato. $115 per adult; $30 kids 4 to 12. Revel in picturesque views of the Pacific coast as you dine on farm-to-coast cuisine with a glass of your favorite Sangria. For their Christmas Eve special, Twenty/20 is serving a slow-roasted and herb crusted prime rib with horseradish whipped potatoes. Twenty/20 is hosting a three-course holiday prixe-fixe menu for Christmas dinner. The first course includes your choice between a creamy cauliflower soup or a roasted heirloom salad. For the main course, choose between the roasted Cornish hen, braised short rib, verlasso salmon, or the portobello risotto. Finish off your meal with either a miniature yule log or the brown butter cake. Head on over to 333 Pacific on Christmas day for a three-course holiday meal. The first course includes your choice of a spinach and frisée salad, winter squash bisque, charred brussel sprouts, and grass-fed lamb lollipop. For your entrée, choose from the following: a prime rib of beef, seven fish feast, “partridge in a pear tree,” skuna bay craft-raised salmon, boneless beef short rib, or vegan pot pie. Cap off the night with a flourless chocolate cake, eggnog cheesecake, or a spice cake. The Kids Menu offers a starting mixed fruit plate (gluten free) with a choice of grilled chicken breast (with mashed potatoes), petite flat iron steak (with mashed potatoes), macaroni and cheese or orecchiette pasta. For dessert, kids can choose between chocolate or vanilla ice cream. Clubhouse Grill offers approachable, yet inventive cuisine for any type of craving. Clubhouse Grill is having their Christmas Eve three-course special with holiday favorites like the seafood chowder, roasted turkey, and mini apple cobblers. Celebrate Christmas Night with an abundant buffet with favorites like the BLT deviled eggs, cranberry-aged chorizo stuffing, and yule logs. Enjoy an oceanfront sunset view with farm-to-table cuisine paired with your favorite wine at Chandler’s. The prix fixe holiday dinner special will make your family meal a stress-free and delicious dining experience. Take the stress out of holiday meal-planning and head to Chandler’s for Christmas dinner. Let Chandler’s give you and your family a multiple course holiday feast with spectacular views.